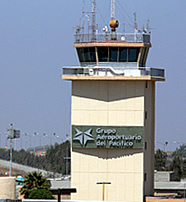 Parking space at Tijuana Airport is provided at two locations i.e. in Building E of the Main Terminal and at the Old Airport Terminal. There are two types of long term parking services at the airport – covered parking and uncovered parking. The former will cost you $16/day while the latter costs $12/day. For covered parking the cars are stationed inside the level parking, a facility with several stories, just like is the case in many other airports. For uncovered parking the cars are stationed in an open area. In both locations round the clock security is provided. Regardless of the option you go with, parking at either designation is very okay and there is hardly anything else that distinguishes them except the rate of course. The Tijuana Airport car parking policy is that in the event of your car’s total theft you will be compensated in full.